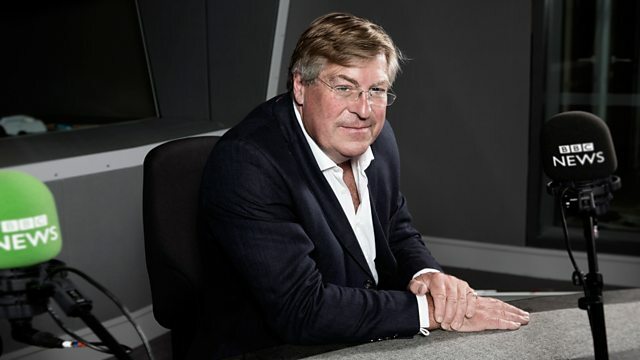 Religious news and current affairs with Edward Stourton. Baroness Warsi on government and religion, composer John Tavener, and Doctor Who and relative dimensions in faith. Pope Francis has only been in the job for 8 months but already his huge popularity has been named the 'Francis Effect'. But does it extend to atheists and left wing liberals too? Guardian columnist Jonathan Freedland and Terry Sanderson from the National Secular Society join Edward to discuss. Following the death of the composer John Tavener, Edward explores Tavener's life and how his "way towards God has been to write music". In the second of two reports from the Democratic Republic of Congo, Kati Whitaker finds out how the Heal Africa hospital has been working with faith groups to resolve disputes. Religion and Dr Who, not frequently associated with one another, but in the run up to the 50th anniversary of the famous time lord Dr Andrew Crome of Manchester University has published a book entitled 'Time and Relative Dimensions in Faith'. He joins Edward to tell him why. Typhoon Haiyan has devasted areas of the Phillipines. Kevin Bocquet has met members of the Filipino community in the UK to find out how they are responding to the disaster. The first woman bishop will be enthroned in the Church of Ireland at the end of this month. Edward speaks to Pat Storey to find out what her journey to becoming a bishop has been. While the Church of Ireland are soon to enthrone their first woman bishop, General Synod meets next week in London to discuss, amongst other things, women bishops. Edward is joined by Reverend Anne Stevens from the group Women And The Church to discuss.